First, let’s enjoy the pretty fabrics-if anything this opened my eyes to the fact that I can’t stop buying anything with teal in it. I also need to beef up my stash of solids. I really really really like prints so that’s probably why it’s lacking. 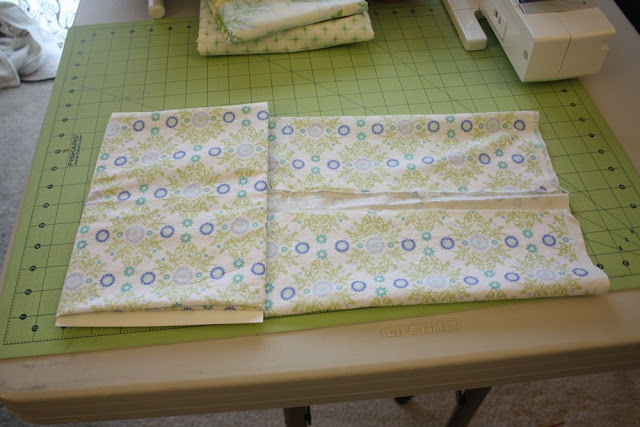 You just fold your fabric and wrap it around your “bolt”-easy peasy. This cut is a half yard, and I folded both long sides in like so. It makes it look a lot cleaner and more organized. Of course, this shelf does not include all my fat quarters and scraps. Those are shoved in that cabinet you see in the pics. I don’t really have a system for storing those. Besides shove ’em in and hope they don’t fall out. It also does not include my costume satins, flannels, or vintage sheets. Yikesabee. I need more shelves. I could look at fabric all day long….seriously. Notice those little jars underneath the lower shelf? More on that another day! That is a great idea, I’m going to have to steal it. I am also jealous of your stash! Great idea! Oh how I share your love of things fabricky, swoon, so lovely to look at! I did the same thing with my larger cuts and I love the way it looks! For my fat quarters I got a big boot box where the lid is still connected to the bottom so it was huuuuge when opened. 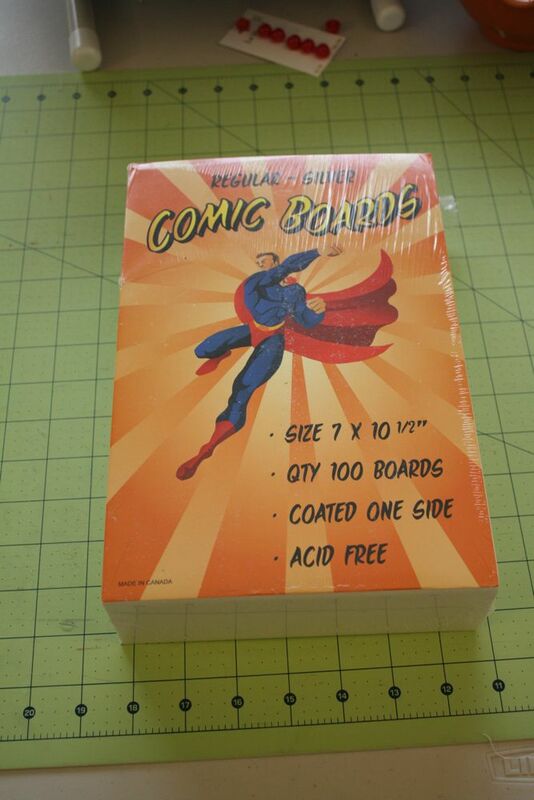 I put them all in by color, standing on edge, sort of how you might put index cards in a file box if it was 1987. For my true scraps I bought a pretty bin at Michael’s and toss them all in there. Sigh. I’ve been meaning to do this forever now…this might be the kick in the pants I needed! It’s so inspiring to look at all those! That looks much better than my rubbermaid containers lol. Great idea – and I feel the same way about my solids stash – which is why I signed up with Pink Chalk Fabric’s Monthly Solids Club – at least for a while until I can build it up! Love that idea, I’ll definitely have to use that whenever my craft room gets done! Thanks for passing that along! Ooh! I love this! 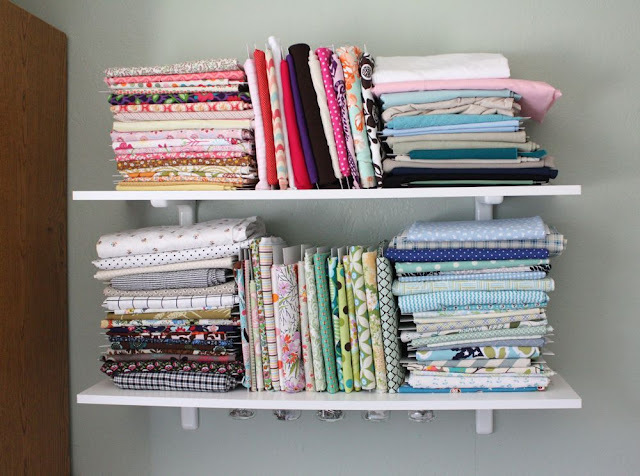 When I get myself a designated craft area (currently setting up shop in my dining room), I’m going to do this too! I love to see all the colors on display! I have those boards to do the exact same thing! I’ve had them for about 3 months though and haven’t done anything with them…my craft room looks like a tornado hit it. I’m feeling inspired though, so hopefully I can get this stuff organized! Thanks for the inspiration. Some day mine fabric will be as lovely, lol. As soon as I force myself to do drag it out of it’s many plastic bins (where I tell myself it’s safe against sticky fingered kids) and get it up. 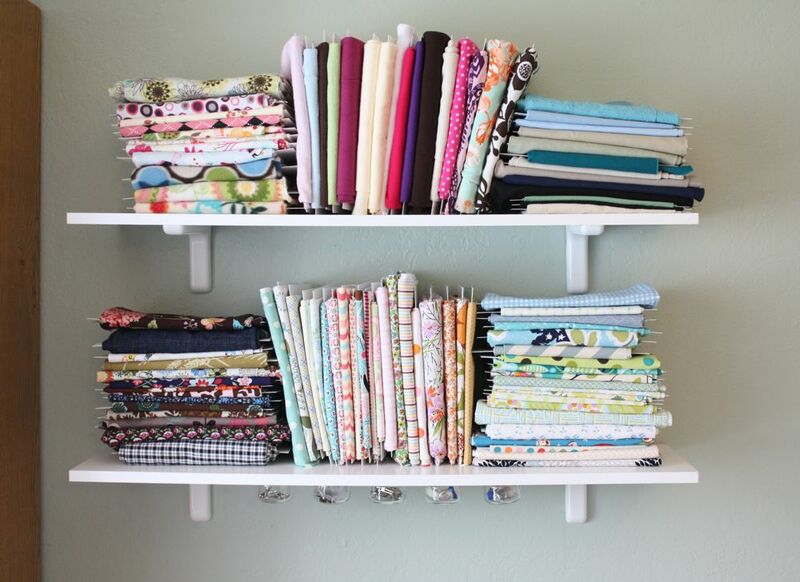 I also plan on getting a shoe door organizer in clear to stick the smaller scraps into so they can be all grouped by color. I just did this with my stash but I used cardboard from our recent move. It worked wonderfully, I used sewing pins to hold the fabric in place. 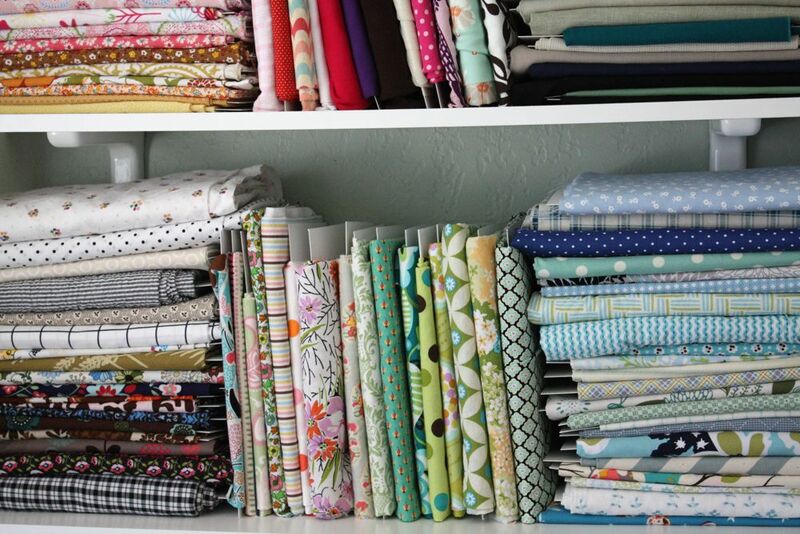 Wow…that’s a lot of fabric. The options are endless!! I don’t think you need an intervention just yet, but if you add another shelf of fabric…Lol. This is a great idea! !…I just wish that I could implement it. 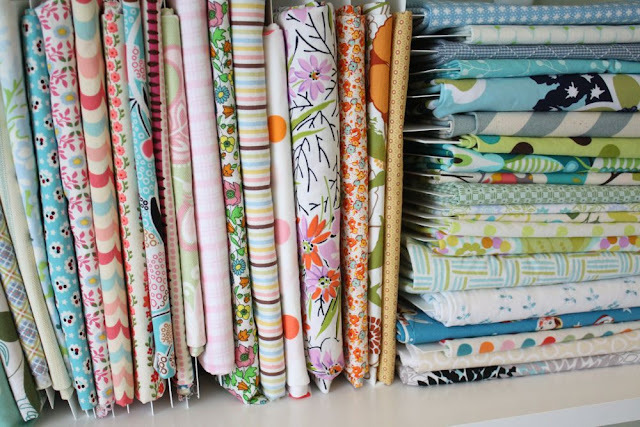 But I have FAR TOO MUCH fabric, and continuous lengths of said fabrics, to be able to do this. Sad. I like how nice and neat it looks!! 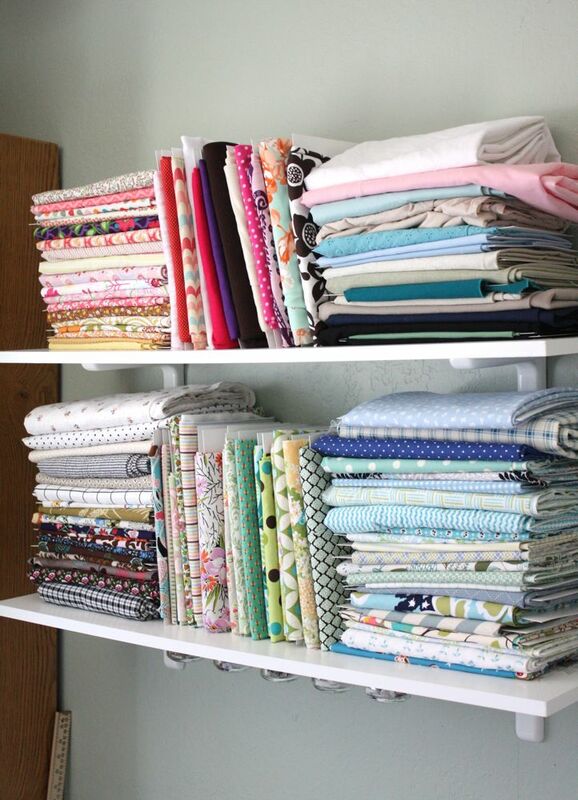 I’m dying from fabric jealousy right here… nice collection. I love how neat and organized this looks. 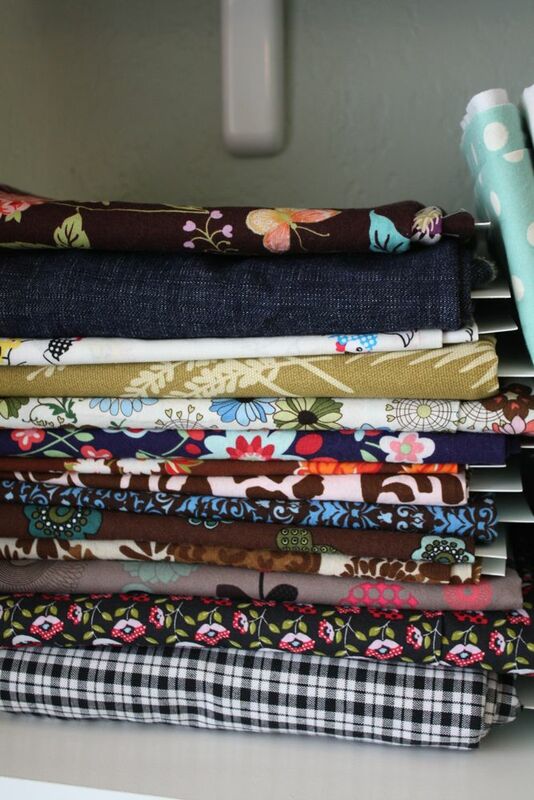 All my fabric is in drawers that I have to paw through to find anything.